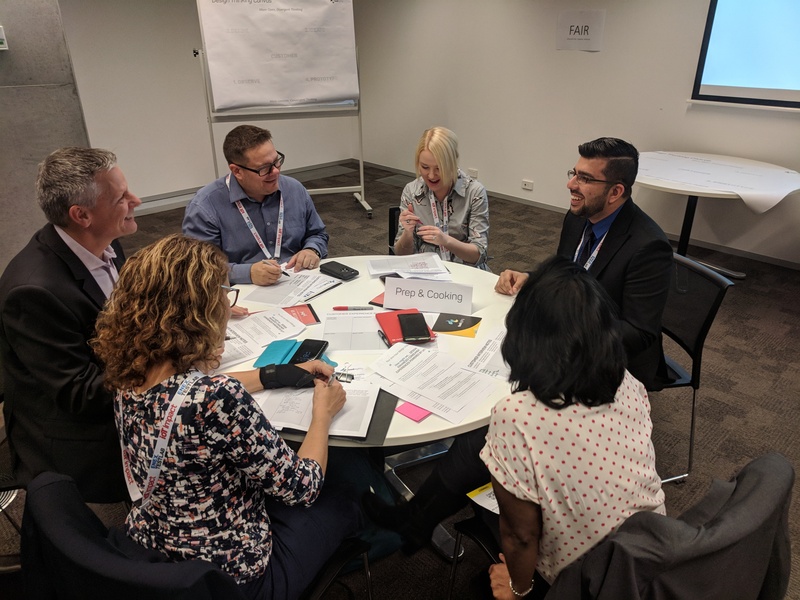 As part of last week's IoT Impact event (https://iotimpact.com.au/), Food Agility was excited to host one of the leading workshops of the event: 'Beyond UX in Agtech'. First, the six teams used EMPATHY to draw out a set of key consumer needs during a sequence of 3x 5-minute interviews with a diverse selection of food consumers. Then they were required to narrow down these needs into a single problem statement, which described the most prominent and recurring issue that they found based on their end-user interviews. 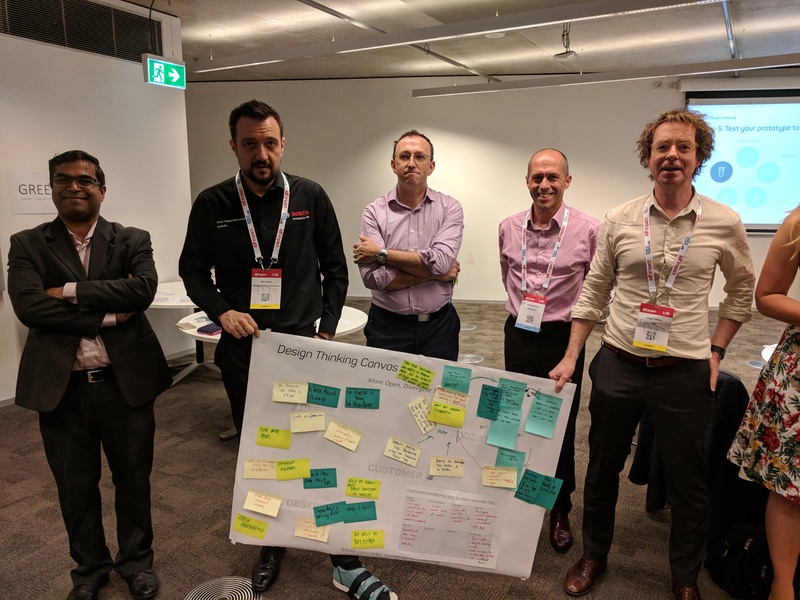 Once a narrow problem statement was set, the groups were asked to branch back out and brainstorm as many possible IoT-powered solutions to the problem as possible over a 10 minute window. From this vast array of ideas, one was collectively chosen by each group to 'prototype' through a consumer journey map and test by sharing back with the rest of the attendees. 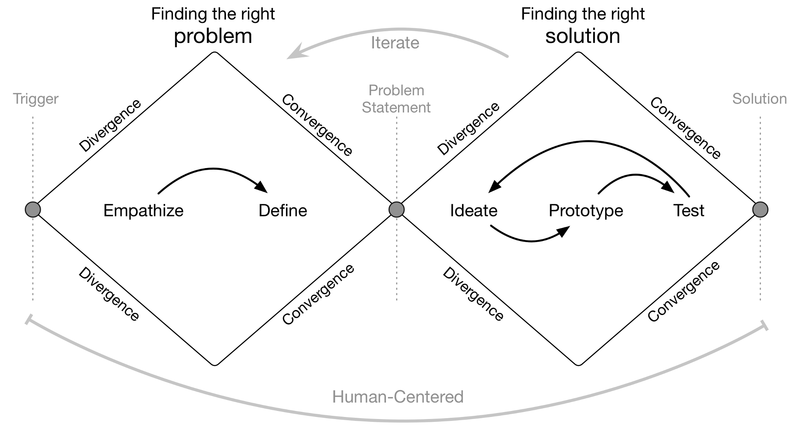 This process followed the design thinking tool called 'Divergence and convergence cycles' (below), and proved to deliver extremely innovative outcomes in an extremely short amount of time. We'd like to thank all those who were in attendance for a highly energetic and highly passionate workshop! This was the first major activity by Food Agility in our role as the host organisation for the IoT Alliance Australia's Agrifood workstream, so we look forward to sharing much more of our partnership with this rapidly emerging organisation in the near future.